We learned from this Dallas: State of the City address the many reasons why Dallas will continue to prosper in 2010 as the strongest city in the United States. 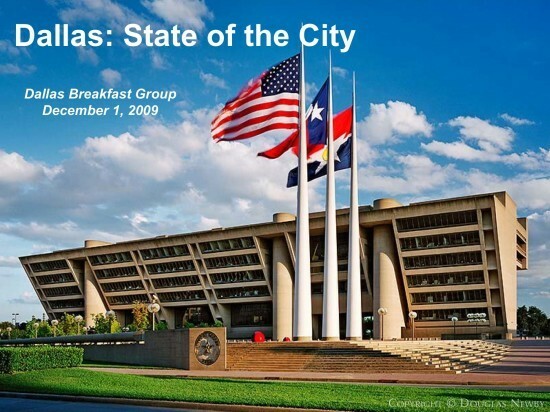 Click here for a Powerpoint presentation created by the Dallas city manager Mary Suhm. As a city manager, Mary Suhm has shown the leadership skills of a Fortune 50 CEO and the same commitment to Dallas as the most fervent civic leaders and philanthropists.